A grand jury in Indiana has indicted a Manager of Distribution Operations at the Evansville, Indiana mail processing center on charges that he stole painkilling medication intended for veterans. 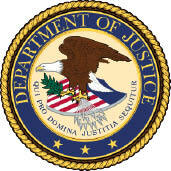 From in or around July 2014 through August 2014, in the Southern District of Indiana, Evansville Division, KEVIN RAY HICKS, the defendant herein, while working as a United States Postal Service employee, did unlawfully embezzle and steal packages and prescription pain medication contained therein which were entrusted to him and intended to be conveyed by mail, and carried and delivered by any carrier or other employee of the Postal Service, to wit: while working as a Manager in the Evansville, Indiana Postal Processing and Distribution Facility, HICKS removed packages mailed by the Veterans Affairs Administration from the processing facility, opened the packages, and stole the prescription pain medication contained therein. The indictment lists 23 individual packages alleged to have been stolen by Hicks in July and August of this year. Hicks has been employed by the USPS since 1985. And blow away a $100,000/year+ job.